According to the Met Office the weather forecast until the end of August is staying true to UK tradition and is reported to be ‘changeable’. With sun, wind and showers all expected over the next month. There is so much happening in the UK this summer and there is nothing better than getting out and about to enjoy some sunshine. 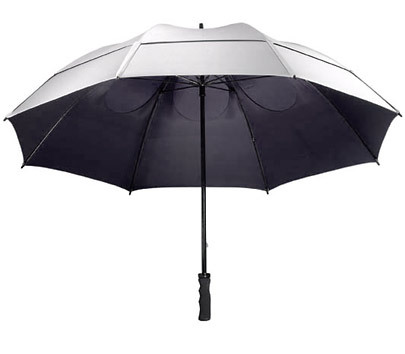 The Gustbuster SunBLOK is a fantastic umbrella and parasol as not only does it come with all the technical features you expect from a Gustbuster umbrella to keep you dry but also has a coating to give optimal skin protection. It blocks 96% of harmful UVA/UVB rays and also keeps you up to 10°C cooler. So is a fantastic choice if you are out and about this summer. It is priceless if you have young children as it gives you extra peace of mind in this hot weather, especially if out in the sunshine. So you can get out and enjoy the summer and stay dry and safe in this changeable UK weather. Find out more about the SunBLOK and the range of Gustbuster umbrellas by emailing Lucy or Hamish at info@richmondagencies.com.